Our laser carbon cream is specially designed for black doll laser treatment which is medical grade nano activated carbon cream. 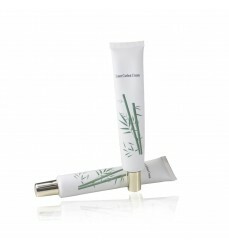 This carbon cream gel is made of high-tech raw material and is widely used in Taiwan and other regions. It is the cream gel in the rubber tube and the net weight is 50ml. 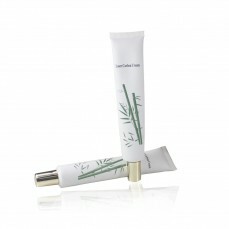 This carbon cream for laser utilizes the adsorption and ultra-fine characteristics of nano activated carbon, effectively penetrates pores and absorbs the grease and dirt tightly, with the laser peeling treatment, effectively breaks deep dirt and keratin, generating high heat energy to stimulate cell vitality, soothes and softens the skin with the contained Vitamin B3 and B5. It is easy to deep cleansing, clean pores, remove oil, improve acne problems, promote skin metabolism and rejuvenate the skin. 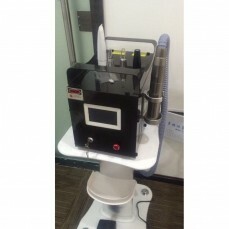 When the nd yag laser peels with carbon cream which is applied on the outer layer of the skin and penetrated into the skin, the speckle on the skin surface blasts instantly which is also called micro blasting, the patient will not cause hyperpigmentation due to excessive pigmentation and absorption of too much light energy. The micro blasting can lead the skin collagen to regenerate and renew.By using the method of carbon laser peel treatment to achieve the effect of pigmentation removal, acne marks removal, skin rejuvenation, shrinking pores, and skin whitening. High density, ultra fine carbon powder. Strong permeability and adsorbability. Deeply cleanses skin, shrink pores, high efficiency skin rejuvenation, skin whitening, and speckle removal. Evenly apply appropriate amount of the carbon cream to the treatment area, do the peel laser treatment after the cream gel dry a little, clean the carbon cream of the treatment area after the laser treatment.